Increasing productivity in your workforce has wider reaching benefits on profit margins, employee engagement and company culture. Business owners can enhance productivity in their own tasks and lead by example to encourage staff to do the same. Several factors are diminishing productivity in businesses. Disengaged workers and a lack of innovation in the workplace are two key examples. Only 20 per cent of businesses introduced innovative organisational and managerial processes between 2012 and 2013. Recent research by Gallup found that US companies are maximising only 5 per cent of their workforce, leading to disengaged workers and decreased productivity. This echoes data from the Australian Bureau of Statistics, which found only 20 per cent of businesses introduced any new or innovative organisational and managerial processes between 2012 and 2013. Such lack of innovation has negative domino effects on running a business, particularly by reducing its productivity. However, these issues can be resolved by implementing strategies to boost productivity. An actively engaged workforce that takes pride in their job stems from a positive work culture. Often productivity has a strong correlation with workers being enthusiastic about their jobs and thus prioritising their work requirements. Expert commercial lawyers can offer advice on creating documents and policies which clearly identify workplace decorum and behaviour. These documents set the foundation for strong relationships with employees. This method involves identifying the 20 per cent of activities that led to 80 per cent of the results you were after, as well as the 20 per cent of tasks that consumed 80 per cent of your time. If you discover any overlap, or lack thereof, it will guide you on how to use time more efficiently and productively. In an article for Business Insider in 2013, entrepreneur and author Tim Ferriss noted he personally adopts this method and highly recommends it. Since profitability is often directly related to productivity, review where and when you work best. Facilitate delivering to your maximum potential by constructing a daily routine which responds to your personal rhythm. Assess which technologies help to focus and which are distracting, and keep only the beneficial ones at your desk. Jacqueline Whitmore, a contributor for The Entrepreneur, noted in a productivity article on February 25 that business owners who are inundated with online work could consider trying an app called Freedom. The app locks a person from the internet for up to eight hours at a time. This time can then be used as a digital detox to clear the mind and allow better quality work. 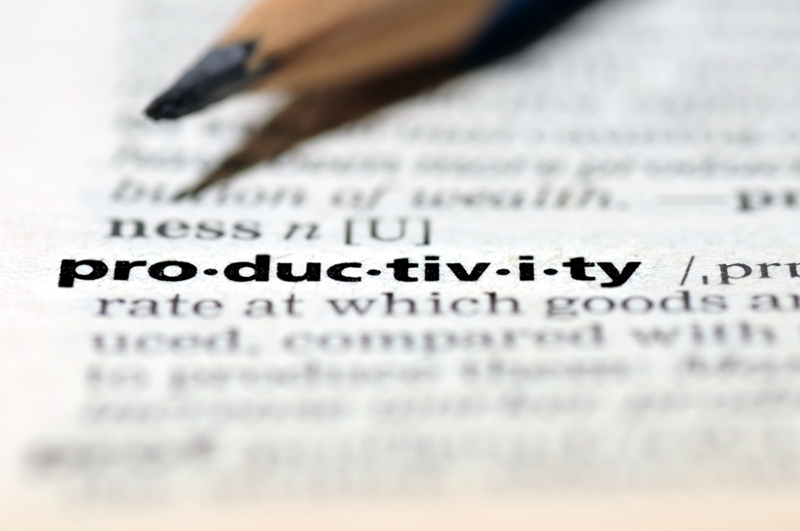 Strong productivity skills help to run a business more profitably.